Yara Shahidi voices one of the characters in the animated film 'Smallfoot', so of course she was on hand for the premiere at the Regency Village Theatre on Saturday(September 22nd) in Westwood, California. 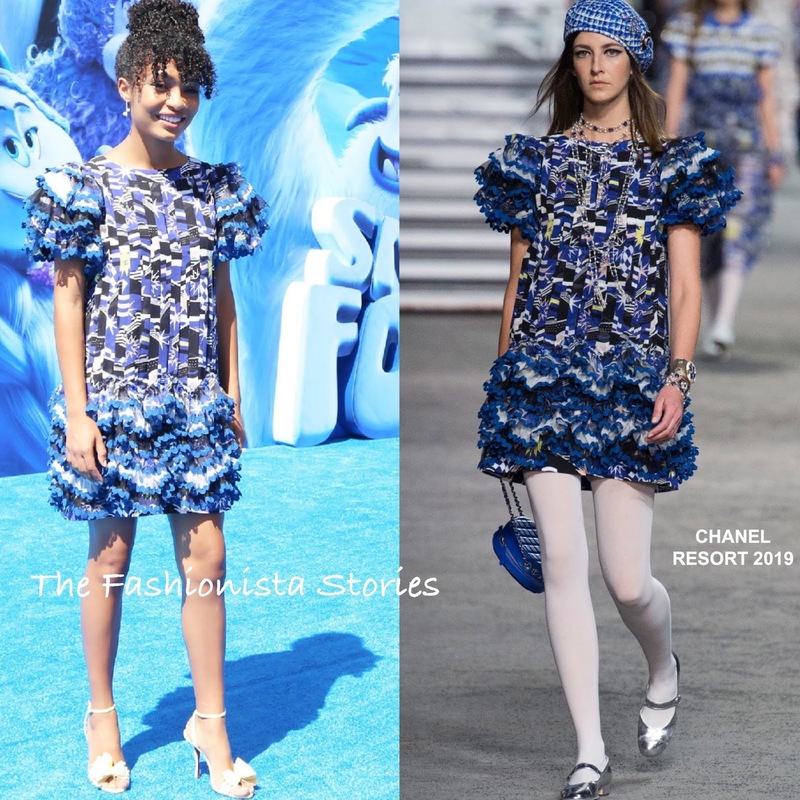 Yara has developed a partnership with CHANEL so it is no surprise that she is wearing a dress from the brand's collection. Her RESORT 2019 ruffle, graphic printed mini dress was styled perfectly with yellow CHRISTIAN LOUBOUTIN sandals. I like this playful mini on Yara and very time she wears Chanel, she knows how to pick the right piece to suit her style. Rocking her natural curly locks in a up-do with bangs, she finished up her great look with MATEO jewelry and minimal makeup.